Popular rapper, M.I Abaga actually gained the respect of his teaming fans when he opened on his early days in music industry, and how life looked like when things were hard. He told his grass to grace story to station crew of Dream 925FM, where he chose to hang out just a few hours before the Star Music Trek concert in Enugu on Saturday. 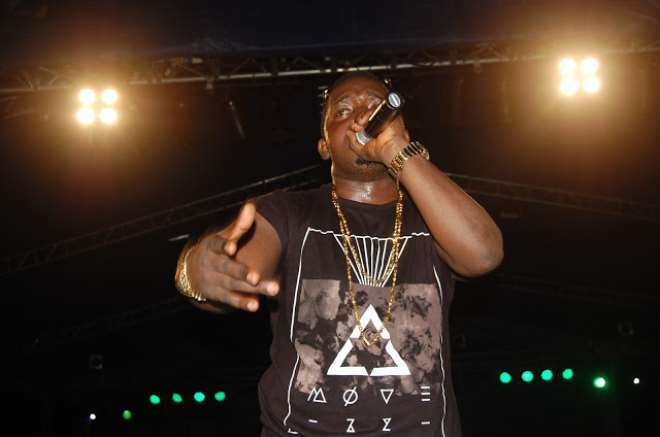 M.I disclosed that during his hustling days, he was employed as Personal Assistant to popular Jeremiah Gyang. And that he met Waje and Djinee in Enugu for the first time while struggling to establish his career. He equally disclosed that 7000 miles away from home, in (U.S,) he had to resort to washing toilets to put food on his table. Even after returning to Nigeria, while passionately nurturing massive dreams of fame and fortune, this artiste also had to work as a waiter at a popular café in Jos. M.I said “I'm really proud of these indigenous art forms and it's a blessing for me to be a part of an industry that has notable artistes such as Olamide, Phyno, Mr Raw and others in it. This is the future of great music in Nigeria,” he added. Does hard work pay? All you have to do is look at M.I's life to find the answer.